faster than a Bean of Light! 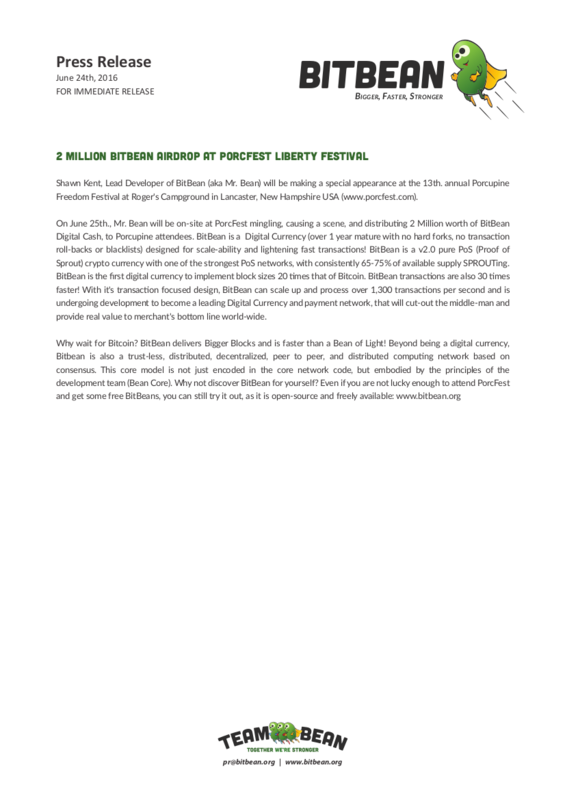 Back in 2010, PorcFest was on of the first major marketplaces for Bitcoin at a live event. Last year we gave away 1.3 million BitBean there (now worth more than $8,500 USD)! This year we will have a store there - featuring BitBean Digital Cash cards, BitBean merch, real beans, other food, and common items needed for campers. 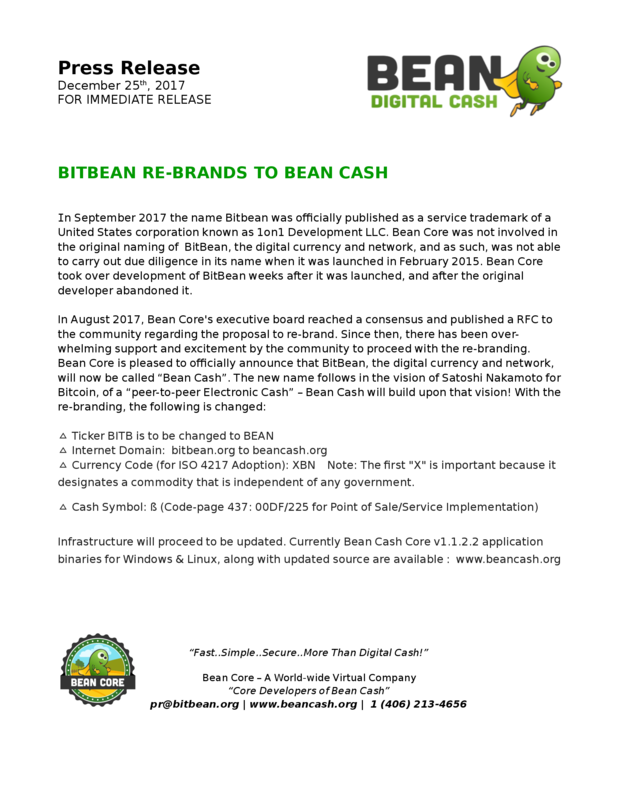 The BitBean store will accept BitBean Digital Cash as payment for all items. 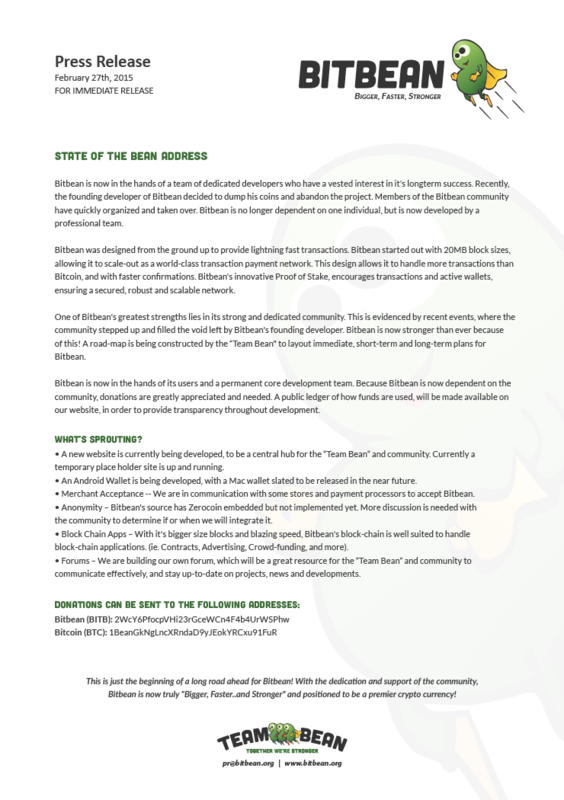 Profits made will help to fund further BitBean Core development and marketing. An updated RoadMap has been published and is available for download in PDF format. 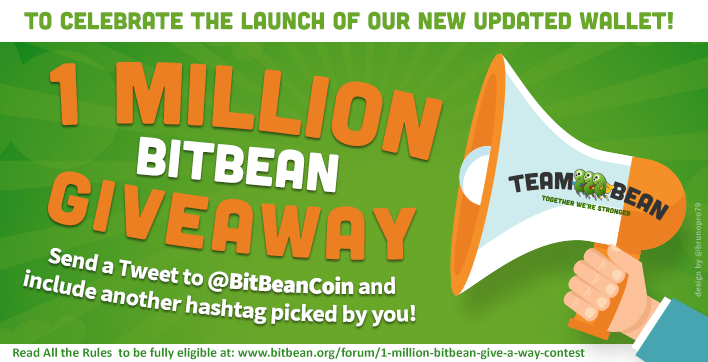 1 Million BitBean Giveaway Contest! 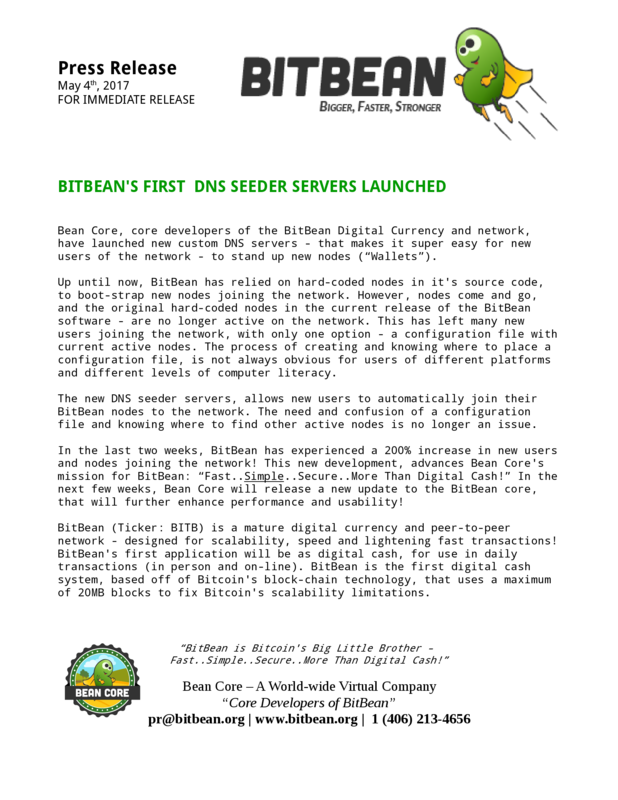 To celebrate the launch of our new updated wallet (Version 1.1.0.0RC) and BitBean reaching the 1 Billion mark (1 Billion BitBeans in existence) We will be giving away 1,000,000 BitBeans! You can find more information about it and download the new wallet on our Downloads page. The wallet is available for immediate download for Windows and Linux (both 32-bit and 64-bit architectures). 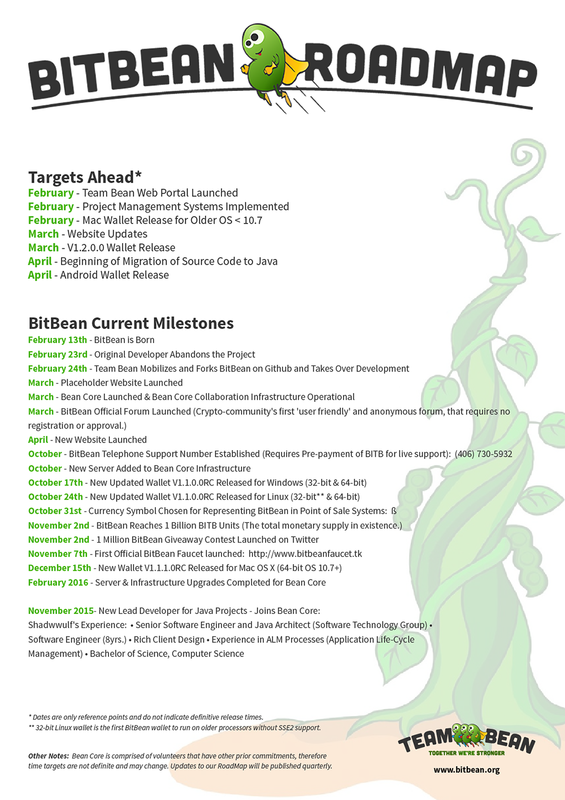 This is the first update since BitBean was launched on February 13th, this year. New BitBean.org website is out! TeamBean's Designers acted fast on setting up a new and slick website. 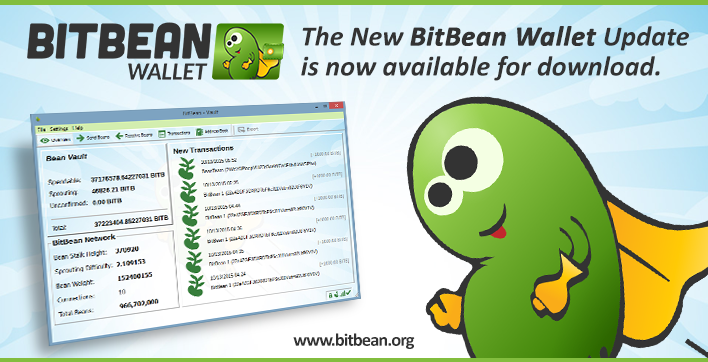 In this new website you'll be able to find all the details about BitBean and everything related to it. New BitBean Wallet installation/setup tutorial available!